Music notation may not be the best way to get a “feel” for traditional music. 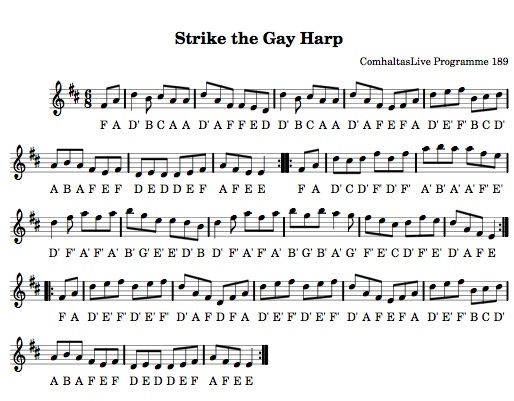 Unlike classical music, Irish traditional music generally cannot be notated exactly the way it is meant to be played, and music notation doesn’t always lend itself well to the transcription of Irish ornamentation. So while the best way to learn a tune is arguably to listen to a live musician, there is definitely a place for music notation as an alternative means of accessing and passing on traditional music. In this section of the website we’d like to share a few tunes with you that are both traditional and popular at most sessions. and other sources. You should be careful, though, about using online resources to learn tunes, as the tune settings may vary considerably in quality and accuracy. Also, because of the many names used for tunes (with more than a few duplications), you may find that you have learned the wrong tune altogether but then “so what”, you can never have too many tunes!